Church building projects often grow out of a need for more space, or a desire to adapt existing space to better suit a church’s ministry goals. Aspen Group fields calls from churches with pressing questions—questions that relate to tactical aspects of adding on space, such as how much square footage to build, or how many seats to add in the sanctuary to accommodate growth. The “how much” question is the easy one to ask because it addresses parameters you know or can quickly identify. Although this may feel like the natural starting point for a conversation on church architecture, there’s a better approach—and it starts with asking better questions. • Why Better Questions Lead to Better Buildings. 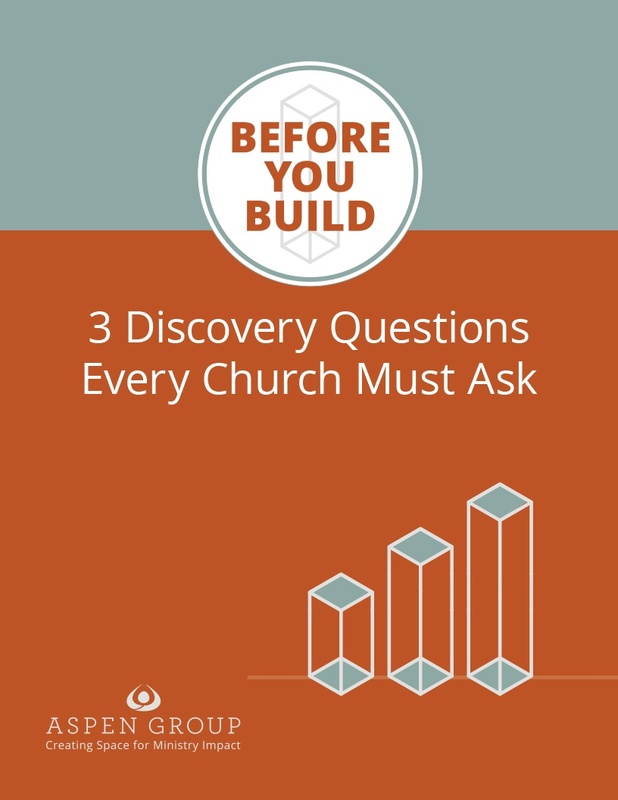 • 3 Essential Questions Your Church Must Answer. • The Intersection of Church DNA, Context, and Calling.